If there’s one thing that Disney has managed to perfect over it’s long history, it’s being able to bring classic fairy tales to the big screen. Starting with their beloved first film, Snow White and the Seven Dwarves (1937) all the way up to their recent megahit Frozen (2013), Disney Animation has proven time and again to be the go to people for traditional fairy tale entertainment. And it’s easy to see why. Fairy tales lend themselves perfectly to the animated medium, which perfectly renders all the flights of fantasy to its fullest potential without having to live by the rules of the real world. But, given the success of some of Disney’s films over the years, there also comes the pressure of having to top that success with something better. Walt Disney was strongly resistant to creating sequels to his movies, instead choosing to look ahead to the next project, which meant that most of Disney’s animated output was made up of one and done story lines, and not all of them were huge successes right away. It’s been a practice that Disney Animation has mostly stuck to long after Walt’s time, which has been beneficial for them since it’s allowed them to grow their stable of characters every year, instead of just rehashing the same ones to the point of irrelevance. But, in order to keep some of their old classics still fresh in people’s minds, Disney has also taken the sometimes controversial step of remaking their films, but in the live action medium. This has developed mostly in recent years, and unfortunately the end results have been mixed. Though the movies have done well at the box office, the quality of the storytelling is usually subpar, at least compared to the originals. Some are merely just okay, like 1996’s slapsticky 101 Dalmatians, or misguidedly dark and unappealing like 2010’s Alice in Wonderland or 2014’s Maleficent. Because these movies have done well despite the negative reviews, it has convinced Disney to look to even more of it’s classics to be given over to the live action medium regardless of the outcome. And this year’s newest entry to the field is a remake of their 1950 classic Cinderella. Now, if you’ve read my review of last year’s Maleficent, you’ll know that I’m not too happy with these recent remakes of Disney classics. In particular, I hate the way that they’re taking the original stories and try to force some kind of “edginess” into it. While this was a nuisance in Tim Burton’s Alice remake, it can be seen as understandable given Burton’s style. Maleficent on the other hand made the big mistake of trying to force an action adventure narrative into a traditional fairy tale, and try the not-so-clever spin of reversing the roles of the heroes and villains. That plan backfired with the new takes on the characters never quite carrying the film and leaving the whole picture a disgraceful shell of what had come before. Mainly the problem with these movies is that they do what is commonly seen as the cliched trope of making the heroines in these stories edgier by putting a sword in their hands. This is an unfortunate by product of the success of movie series like The Lord of the Rings and Narnia, which has led to the mistaken belief in Hollywood that every fantasy film needs to have an epic battle scene in it, whether it’s there in the original story of not. And Disney is not alone having fallen into this trap; Universal made the same assumption when they released their own “edgy” fairy tale Snow White and the Huntsman (2013). So, it actually comes as a blessing when watching Disney’s new film Cinderella, because it avoids that cliche completely, and ends up making the story work well on its own merits. The story should be familiar to anyone who has heard the original fairy tale, or has seen Disney’s original animated version. Young Ella (Lily James) grows up in a happy upper middle class household in a fictional, unnamed European kingdom. When her mother suddenly is taken ill and passes away, she and her father try to cope with the loss in the best way possible. In time, Ella’s father decides to remarry, bringing in the vain and greedy Lady Tremaine (Cate Blanchett) into the household, along with her two ugly daughters Anastasia and Drisella (Sophie McShera and Holliday Grainger). Not long after, Ella’s father also dies unexpectedly, and Lady Tremaine begins to take charge of the home, forcing Ella into servitude in her own home. In order to keep warm at night, Ella sleeps by the fire and ends up with cinder soot all over her skin, leading the stepsisters to jokingly call her Cinderella. Soon, all Cinderella has for company are her animal companions, whom she carries on one-way conversations with. But, that changes all maidens in the land are invited to attend a ball at the palace, as a means to help the Prince (Richard Madden) choose a bride. Lady Tremaine forbids Cinderella from going, but with the help of Cinderella’s Fairy Godmother (Helena Bonham Carter), she manages to go anyway. The rest of the story is wha you’d expect, including the significance of Cinderella’s iconic glass slippers. This new version of Cinderella on the surface doesn’t look like anything special. And on paper, I’m sure that’s how it would appear as well. It doesn’t do anything groundbreaking or original with the story. It just follows the blueprint without deviation. And surprisingly, that’s what makes it work in the end. This movie is a wonderful retelling of the classic fairy tale, with all the familiar pieces in tact with no needless and distracting additions. It’s almost so ordinary that it’s revolutionary. After the boring and needlessly complicated plots of Alice in Wonderland and Maleficent, it’s nice to see Disney actually deliver a worthy remake this time around. I believe that a big part of why this movie works so well is the combination of a smart and witty script by Chris Weitz (American Pie and About a Boy) and imaginative direction by Kenneth Branagh. Weitz in particular had the daunting task of trying to bring new life into an already too familiar storyline, and he managed to pull it off by not trying to make it too complicated. It’s a simple retelling that’s avoids the pitfalls of adding too much plot detail, and instead leaves more room for the things that matter in a script, like character development as well as a healthy helping of wit and charm. Kenneth Branagh also feels right at home with this material. Famously known for his lavish Shakespearean productions, Branagh brings a strong sense of visual splendor to his film, while never losing track of the characters or the story either. Together, the director and the writer make familiarity a great asset with this story and present Cinderella with all the grace it deserves. Probably the biggest reason why the movie works so well, beyond how well it is written, is its visual extravagance. This movie is a stunning visual treat. It’s not surprising given that Kenneth Branagh is behind this film, since he brings almost operatic grandeur to every production he does, whether it’s his four hour long staging of Hamlet (1996), or his venture into the Marvel cinematic universe with Thor (2011). Cinderella continues that stellar track record with colorful cinematography and eye-catching production design. The ball scene alone is an unrivaled visual feast. But, even with the incredible work put into the production, it doesn’t overwhelm either. The film manages to keep itself firmly grounded and doesn’t try to distract you with its visuals either. Really, some of the best parts of the movie actually take place in some of the darker settings, like a late confrontation between Cinderella and her step-mother in the attic, which has a nice gloomy atmosphere to it. But, when the film calls for it, the epic grandeur delivers beautifully. It also takes its cues from the classic Disney version as well, trying to match some of its most standout visual moments in th same way. There’s a scene when Cinderella arrives at the ball which calls to mind the same moment from the animated film. It’s not trying to copy it shot for shot, but rather invoke the same sense of wonder, and it manages to do it very well. The production design and costumes were done by multi award winning veterans Dante Ferretti and Sandy Powell, and Cinderella represents the two working at their highest level. Anoter thing that helps to make the movie work especially well is the performances. One of the saving graces for most of Disney’s live action remakes has been their castings, especially in the villain roles. Glenn Close delivered a delightfully over-the-top performance as Cruella de Vil in 101 Dalmatians, while Angelina Jolie’s Maleficent was that movie’s only redeemable feature. In Cinderella, the cast is top to bottom exceptionally well-rounded, especially with the two leads. Lily James (who’s been recently seen on Downton Abbey) manages to bring a lot of depth to a character that’s notoriously hard to get right in a performance. How do you make such a subservient character relatable and complex? In this film, Cinderella is instilled with the lesson of having strength through kindness, and it’s a character trait that Ms. James perfectly brings out in the character. She remains kind and noble, even against overwhelming hatred, and that’s where her strength as a character comes alive. But, even she is overshadowed in the movie by a knockout performance by Cate Blanchett as the villainous Lady Tremaine. Blanchett shows once again why she is one of our greatest living actresses by taking on the role of the wicked stepmother that we all know, but also finding the depth behind that villainy as well. She chews up the scenery like nobody’s business and commands every moment. Naturally, she’s a big name that Disney always tries to go for with these important character roles, and it’s nice to see she’s not wasted here. The rest of the cast also is very strong. The two step sisters are hilariously over-the-top, and Helena Bonham Carter manages to deliver a nice subdued turn as the charming Fairy Godmother. And speaking of charming, Richard Madden (of Game of Thornes fame) is able to make the most of a character who has very often been underwritten in most retellings of the story, including the animated version. His Prince character actually is given a worthy arc to go along with the story that compliments Cinderella’s story very nicely. If the film has a flaw at all, it might be with some of the visual effects. The grounded visuals of the film, which relies heavily on practical sets, are so well done, that it actually becomes distracting when you see an out-of-place CGI effect put into place. Not all the visual effects are terrible though. Some of the set extensions are stunning to look at, and there is a jaw-droppingly gorgeous moment when Cinderella’s dress is transformed by the Fairy Godmother into the ball gown. But what doesn’t work so well is the animation used on the animal characters, particularly the mice. I know the mice where important characters in the original film, and their presence her is a nice nod to the classic. But, the film here chooses to portray them as realistic looking mice, animated through CGI. Unfortunately, as hard as they tried, the animators could not pull off the trick. The CGI mice still just look too fake, and unfortunately lack personality. The animation looks even more distracting later in the film when the animals are transformed into Cinderella’s coach horses and footmen. The end result just comes off as a bit too rubbery. Still, I don’t fault the filmmakers so much as just the overwhelming reliance that the industry puts on CGI tinkering. For a film that does so well with practically built visuals, it’s somewhat unnecessary to include so much computer enhanced imagery. It doesn’t spoil it too much; it just becomes something of a distraction over the course of an otherwise tightly controlled production. Overall, I am very pleased to see Disney finally get the formula right for a change. After coming up short so many times before, it’s great to see a remake from the House of Mouse that is actually worthy and respectful to it’s source rather than exploitive. A lot of credit should go to director Kenneth Branagh, who brought his usual visual flair to a story that was perfectly suited for it, as well as to writer Chris Weitz who managed to bring a great deal of depth and wit to this retelling; something that the other fairy tale remakes have been lacking. As someone who grew up with the classic Disney versions of these fairy tales, and one who has been incredibly disappointed with the remakes so far, it pleases me enormously to see that Cinderella was given a worthy treatment. The story itself is simple and uncomplicated and it’s a pleasurable experience for all audiences. Clearly it’s targetted towards the young girl demographic, and it hits that target with sniper like accuracy, but audiences of all kinds will still find a lot to enjoy in this movie. Of course, this won’t be Disney’s last live action adaptation of one of their animated classics. Some of the adaptations do look promising (like Jon Favreau’s Jungle Book in 2016) while others are not so much (Tim Burton’s recently announced Dumbo remake). At least now we have an example of how to do it right. 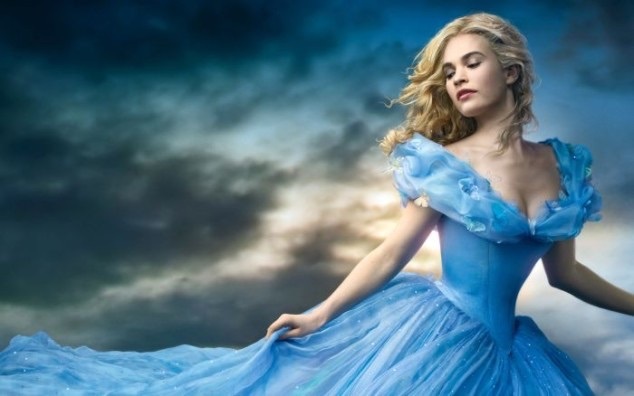 So, if your nostalgic for some classic Disney storytelling, or just want to see a lavishly put together big screen fairy tale, then you should defiantly check out this new version of Cinderella. It’s further proof that assured direction and thoughtful storytelling can indeed deliver something magical.